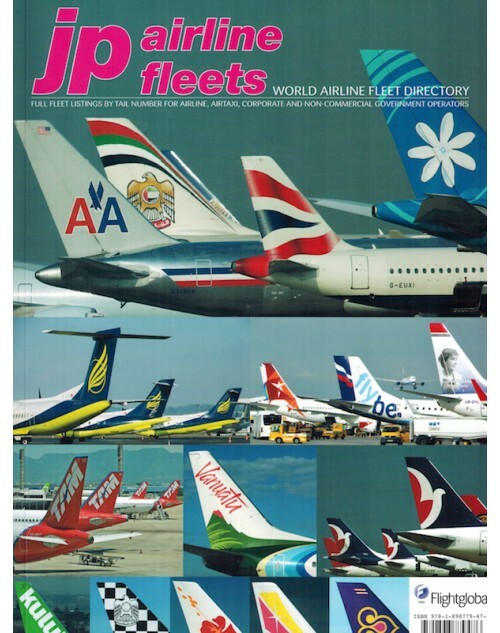 Known as the "Bible of Civil Aviation", JP Airline Fleets was the world's most comprehensive annual fleet reference guide. After 47 consecutive years, publication was discontinued in 2014. The JP provided administrative information on 6000+ known commercial aircraft operators, plus technical information on more than 50,000 aircraft over 3,000 lbs (1,361 kgs), including their most current registration, type, serial number, previous identity, date of manufacture, delivery date, engine type and number, maximum take off weight, configuration, Sel-cal, fleet number, name, remarks, and more. It included many high quality color photos and alphabetical airline coding-decoding sections. We still have a few copies available for collectors at a discounted prices.